I was having a discussion with Ralph and Kori of Fox Marin Associates a couple weeks ago, and they were telling me how competitive the market was for freehold properties in the TREB Districts in which they do their most business (W01, C01, C08, and E01). 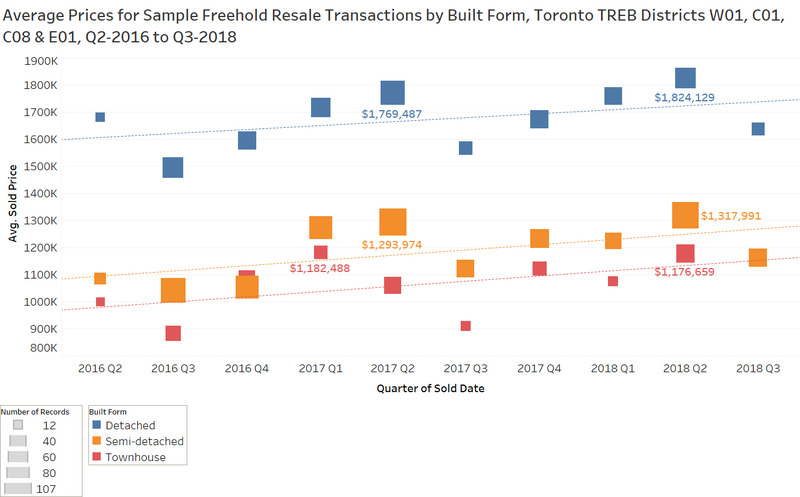 They told me they were seeing homes sell for more than they had in March and April of 2017, the peak of the housing market frenzy in Toronto. I was a little skeptical, so we agreed to look at the numbers together. 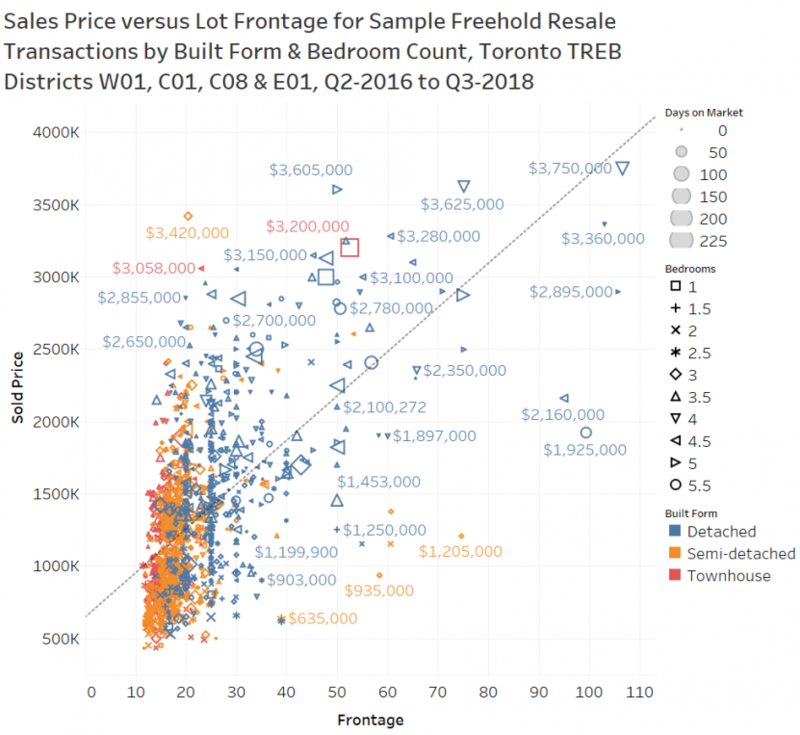 Data on freehold properties in those four districts in Q2-2018 versus Q2-2017 shows that average prices were higher for single-detached, semi-detached and townhouses this year. However, market conditions have been a bit softer in the first five weeks of the third quarter this year (see chart below). The report will be sent out on Tuesday morning.